A study of colonial administration in Southeast Asia, with a foldout map and a detailed statistical appendix. Publisher: Archibald Constable, London, 1905. First edition. Condition: Hardcover, fair. Water damage to back cover. 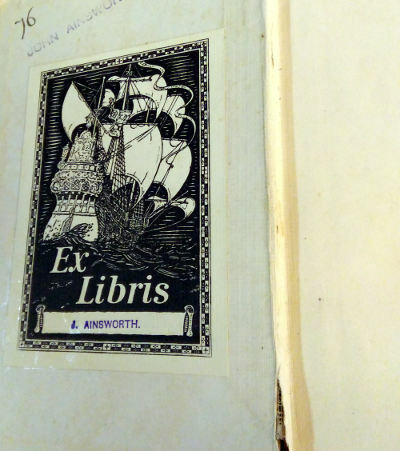 Former owner’s bookplate (John Ainsworth), signature and stamps to book, along with extensive annotations in pencil. Front hinge slightly cracked. Reading copy only, with useful appendices and a large foldout map of Southeast Asia, in colour. 339pp., 8.5″ by 5.5″. In 1901 I was appointed Colonial Commissioner of the University of Chicago for the purpose of visiting the Far East and preparing a comprehensive report on colonial administration in Southeastern Asia. The present volume is made up of 2 series of articles written during my absence in the Far East..and they made, in the form in which they are now issued, a group of studies on the various phases of British, American, French, and Dutch colonial administration. Judging from my own experience during 15 years of investigation in the field of colonial history and administration, the statistical and bibliographical appendices at the end of this volume should serve to smooth the path of any one who wishes to pursue further the lines of thought suggested in these studies. …Finally I must express my most sincere thanks to His Highness Sir Charles Brooke, Raja of Sarawak, and to Sir Frank Swettenham, former Governor of the Straits Settlements and the High Commissioner of the Federated Malay States, to Mr. E. W. Birch, C.M.G., former Governor of British North Bornoe, ad to Major-General Leonard Wood, U.S.A..
Walter Alleyne Ireland (19 January 1871, Manchester – 23 December 1951) was a British traveller and author on the tropical colonies of the British empire. His mother was the biographer Annie Elizabeth Nicholson Ireland and his father was the journalist Alexander Ireland; his brother was the composer John Ireland. 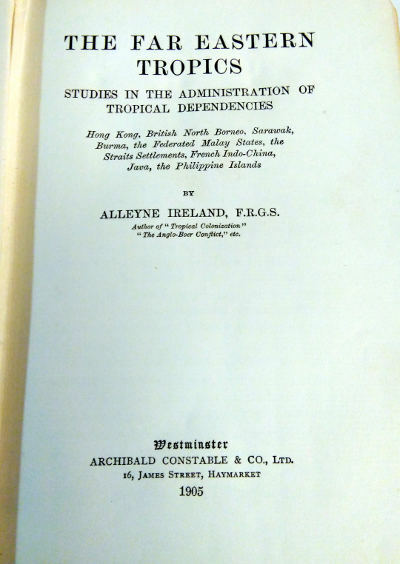 Educated at Manchester Grammar School and the University of Berlin, Alleyne Ireland visited Australia, Canada, India, Burma, the Malay Peninsula, Java, Borneo, French Indo-China, the Philippines, the West Indies and British Guiana. 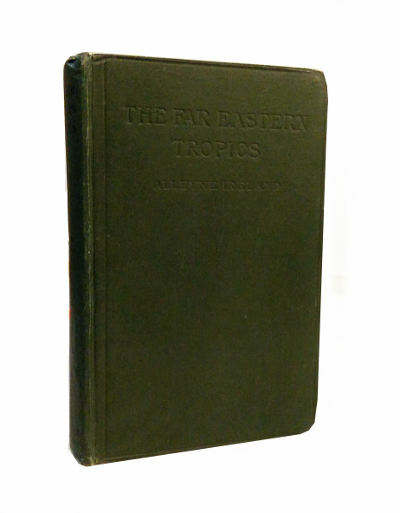 In 1902–1904 for the Times of London he wrote twelve articles on British colonial administration in the tropics. He lectured at Cornell University, the University of Chicago and the Lowell Institute and was on the staff of the New York World. Alleyne Ireland served as one of Joseph Pulitzer’s private secretaries, an experience he recorded in An Adventure with a Genius: Recollections of Joseph Pulitzer.